The MQ-8 Firescout (pictured) will carry the night time illuminator from Bodkin Design, along with other mission critical payloads. Bodkin Design & Engineering, LLC has been awarded the first round of a $1.5 Million SBIR Phase 2 contract from the U.S. Navy to develop a power-efficient illuminator for nighttime operations of the Coastal Battlefield Reconnaissance and Analysis (COBRA) system. The innovative COBRA Multi-Spectral Illuminator will provide broadband light with sufficient illumination for the COBRA camera to operate under all light conditions. The mission of COBRA is to conduct unmanned aerial tactical reconnaissance in the littoral battlespace for detection and localization of minefields and obstacles in the surf zone and beach zone prior to an amphibious assault. 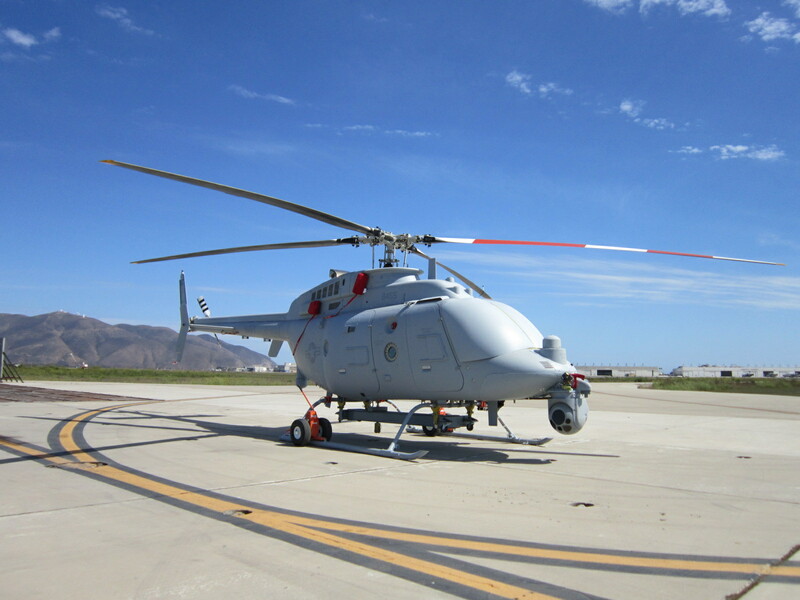 The COBRA airborne payload is carried on the MQ-8 Fire Scout unmanned air system, which keeps operators and personnel at a safe distance. COBRA will also be embarked in the Littoral Combat Ship (LCS) as part of the Mine Countermeasures (MCM) Mission Package (MP). By permitting nighttime operation the developed technology will increase the number of hours the COBRA system can be deployed, thus reducing overall operational costs. System performance will be demonstrated through prototype evaluation and ground test methods over the required range of landscapes and scenes. Bodkin Design plans to finish all three phases of development, which includes definition and qualification of the illuminator elements, prototype construction, lab testing, and manned flight testing. The entire project is scheduled to be completed in September 2018. This project is funded by the Small Business Innovation Research program (SBIR), a program established by the Small Business Administration Office to ensure that the nation’s small, high-tech, innovative businesses are a significant part of the federal government’s research and development efforts. For more information, please contact Bodkin Design & Engineering at info@bodkindesign.com. Bodkin Design and Engineering, LLC has been providing concept development, prototype design/build, and engineering services since 1992. Headquartered in Newton, Massachusetts, the company serves the international OEM, commercial, military, and research communities. Specializing in electro-optic and mechanical systems, BD&E has overseen the successful introduction of products ranging from miniature infrared cameras to breaking systems for railroad cars. To learn more, visit the website at www.bodkindesign.com.